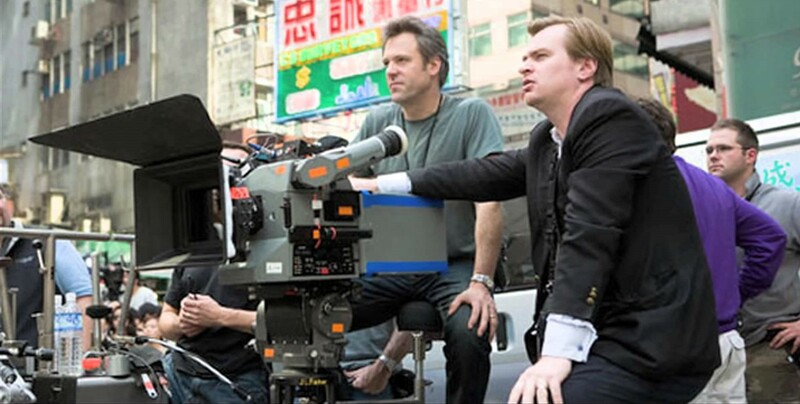 The collaborative relationship between Christopher Nolan and Wally Pfister ASC is like the script for a classic, feel-good movie where seemingly impossible dreams come true. The Dark Knight Rises is their seventh collaboration, writes Bob Fisher. Nolan was born and raised in England. He was a Super 8 film hobbyist during his youth. Nolan and his future wife, Emma Thomas, organised a film society whilst they were studying English literature at University College in London. They collaborated on the production of Following, a 16mm B&W film which premiered at the Slam Dance Film Festival in 1999. She produced and he wrote, directed and shot the film. Pfister was born in Chicago. His family moved to a suburb of New York City when he was three years old, because his father was writing and producing news for a television network in that area. During his teens, Pfister played the guitr in a rock-and-roll band and experimented with telling stories with his Super 8 film camera. He worked as a television news and documentary cameraman for a while and majored in cinematography at the American Film Institute. 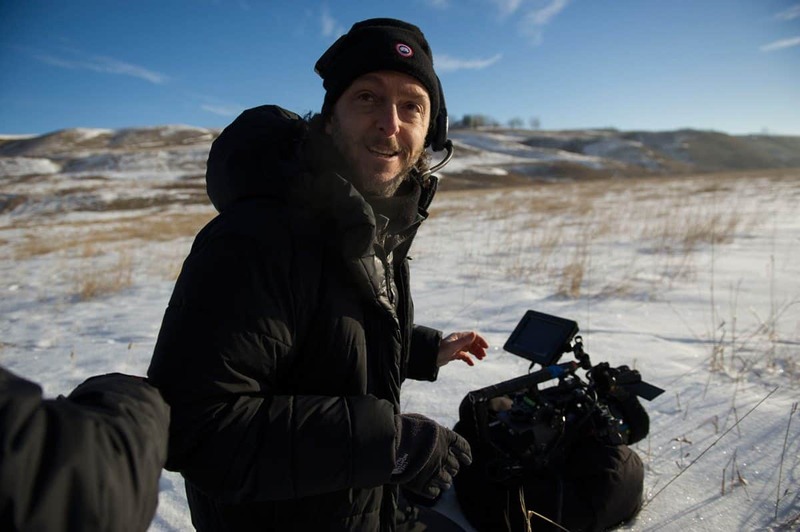 Pfister was in the dawn of his career when he shot The Hi-Line, an independent film that was nominated for the grand prize at the Sundance Film Festival in 1999. His cinematography impressed Nolan who saw The Hi-Line while he was at Slamdance for the screening of Following. Nolan decided that he had to meet the guy who shot that film. About a year later, he tracked Pfister down in Alabama where he was shooting a film. Nolan introduced himself during a telephone conversation. He told Pfister how much he admired his cinematography and described a film that he was going to direct. The story sparked Pfister’s interest. They arranged to meet and continue their discussion. Pfister shot Memento with Nolan at the helm in 2000. The film, which had a $300,000 budget, earned rave reviews on the festival circuit, $24 million at the boxoffice and a best screen play Oscar nomination. 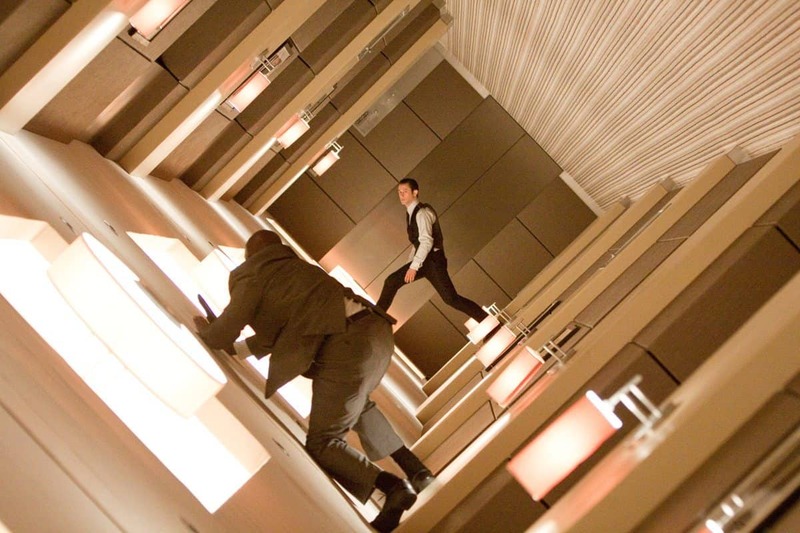 They subsequently collaborated on the production of Insomnia in 2002, Batman Begins in 2004, The Prestige in 2006, The Dark Knight in 2008 and Inception in 2010. Pfister won an Oscar for Inception and Academy Award nominations for Batman Begins, The Prestige and The Dark Knight. 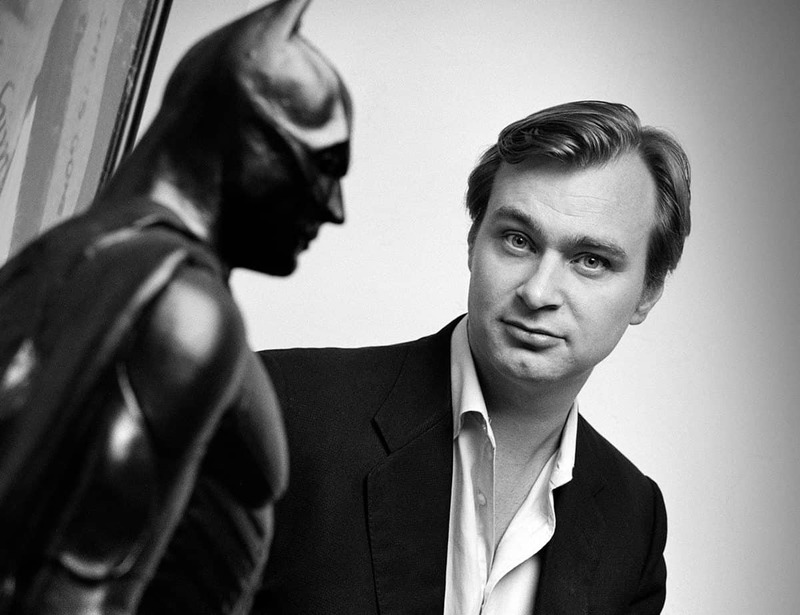 Nolan earned nominations for Memento and Inception. The Dark Knight Rises opens at a time when Gotham City is at peace and prospering. Bruce Wayne is still recovering physically and emotionally from his battles with the Joker and Harvey Dent, the psychotic district attorney who shot cops and crooks alike in The Dark Knight. Batman dropped out of sight for eight years after he was blamed for Dent’s crimes. His old allies and friends, Alfred, Lucius Fox and Miranda Tate, the new love of Wayne’s life, are all trying to revive his flagging spirits. Batman comes back into the picture after the Catwoman and Bane arrive back on the scene. Bane is a terrorist of mysterious origins, whose face is hidden by a muzzle-like mask. He has a small army supporting him. The Catwoman is a stealthy villain whose face is also hidden behind a mask. Wayne decides to fight a last battle to defeat the Catwoman, Bane and his army of thugs before hanging up his cape and mask forever. Christian Bale was cast in the familiar roles of Bruce Wayne and Batman. Other main characters in the ensemble cast include Ann Hathaway, who portrays Selina Kyle and her alter ego, the Catwoman, Michael Caine as Batman’s faithful butler Alfred, Joseph Gordon-Levitt and Morgan Freeman in the familiar roles of police officers John Blake and Lucius Fox, Marion Cotillard as Miranda Tate and Tom Hardy plays Bane. Nolan and Pfister spent about four months in pre-production planning. They discussed options for the right visual grammar and shot tests with Bale, Hathaway and Hardy. Test footage was produced in both IMAX and 35mm anamorphic film formats. Pfister and Nolan decided to produce dialogue scenes in 35mm anamorphic format and everything else in IMAX format. To put that into perspective, an IMAX 4:3 frame is 65mm wide and 15 perforations long. The image area is approximately 10 times larger than a 35mm frame composed in anamorphic format. The IMAX MSM camera weighs about 65 pounds. It can be used on a Steadicam and Ultimate Arm, and Pfister stresses that these gave him and Nolan flexibility in camera movement. David Keighley, president of DPK, an IMAX subsidiary in Santa Monica, California, provided technical support and large format postproduction services. Pfister used Panavision Millenium XL2, Platinum and ARRI 235 bodies and a range of Panavision customized C- and E-Series anamorphic lenses for 35mm scenes. He had “some” Kodak Vision 3 5207 250D color negative film and “a lot of” Kodak Vision 3 5219 500T in both 35mm and IMAX formats on his palette. The production of The Dark Knight Rises was like a family reunion. Production designers Nathan Crowley and Kevin Kavanaugh and costume designer Lindy Hemming had collaborated with Nolan and Pfister on other Batman movies. The camera crew included operator Scott Sakamoto, first assistant cameraman Bob Hall, gaffer Cory Geryak and key grip Ray Garcia. The rest of Pfister’s crew at different locations around the world included gaffer Julian Janicin, edge arm operator Sally Wright, operator Greg Baldi, ultimate arm operator John Betancourt, first assistant cameramen Brad Larner, Farhad Ahmed Dehvi, Jason Tubbs, Adam Dorney and Richard Crumrine, Jr., second assistant cameramen Reuben Garrett, Meg Kettel, Dan Schroer, Chris Seehase, Philip Shanahan, Tim Morris and Kevin Perrira, grip Adam Caracho and film loader Jonathan Clark. They were in production for 115 days with scenes filmed in six countries, beginning in England during the Spring of 2011. Sets were built in an airplane hanger at Cardington Airstrip in Bedfordshire and at Warner Bros. studio in Los Angeles. Additional production was done at practical locations in the Caimgorms National Park in Nottingham, in Romania, Scotland, India, Los Angeles, Pittsburg and New York. Nolan told Pfister that he envisioned a stealthy look. Sets, locations, costumes and the artful use of light, shadows and darkness all contributed to realising his vision. The set for the Bat Cave was designed to be a dark, twisty space. Batman’s car and costume both have a non-reflective, black matte finish, so they could be concealed in shadows. From the beginning, all Batman movies have challenged Pfister and the cinematographers who shot earlier versions to cope with the reality of helping the audience make an intimate connection with a hero who wears a dark cape, black cowl and mask. 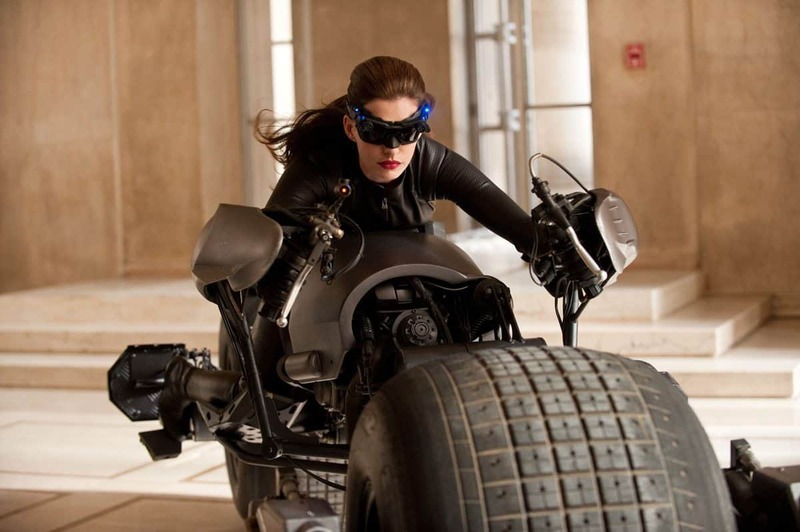 The Catwoman’s costume is similar in terms of contrast and colours. "You have to trust your instincts. When I look at a shot through a lens, I hear music in my mind." There were similar aesthetic challenges using light and shadows to reveal and conceal Bane’s and the Catwoman’s eyes, depending on the emotions of scenes. But how much is ‘just enough’ light? Pfister responds that there is no one right answer to that question, because every film is different and no two cinematographers are likely to make exactly the same decisions. Sometimes Pfister used “subtle” backlight to separate Batman from dark backgrounds. There is also no textbook formula for “subtle” backlight. Both the scope of the IMAX format and decisions made about the use of light and darkness help to create a painterly sense of time and place in addition to visually augmenting feelings, ranging from excitement to tension and intimacy. The goal is to help the audience connect with the story as though they are witnessing reality. “Bruce Wayne and Batman share the same soul, which is revealed by the light in their eyes,” Pfister says. “We used handheld, battery-powered light panels with diffusion rigged by (gaffer) Cory Geryak to put the glow in their eyes. You have to trust your instincts. When I look at a shot through a lens, I hear music in my mind. "Batman is a creature of the night. There is some sheen on the cowl and the rest of his costume, but his cape is matte black. We used eye light to reveal the person behind the mask." Pfister says that Nolan was “always within inches” of him near the camera while scenes were being filmed. While there were storyboards with plans for how to cover scenes, they made intuitive decisions while shots were being captured on film. Technicolor did the front-end laboratory work. Film dailies were timed by Mike Zacharia at Technicolor. There were no digital dailies. 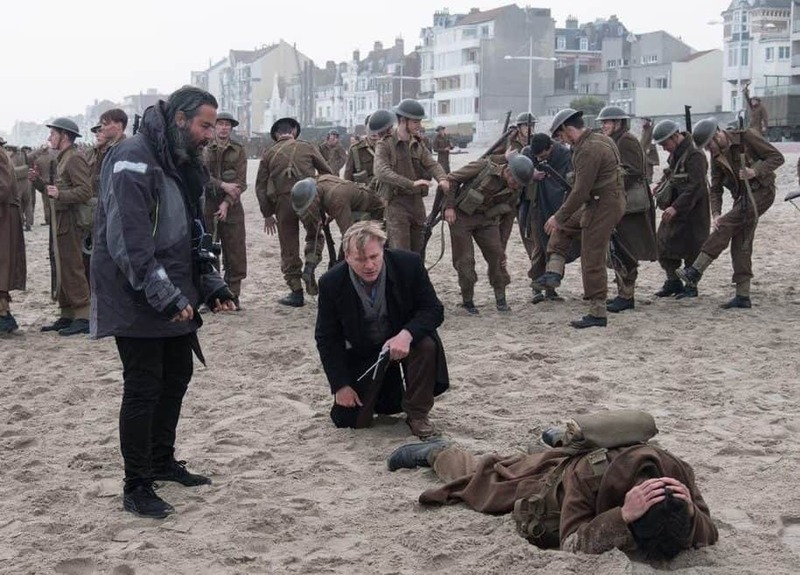 Nolan, Pfister and members of the cast and crew saw dailies the way audiences will experience the film in theaters. There was no digital intermediate (DI) either. Keighley at DPK supervised transferring images captured in IMAX format onto 35mm colour negative film. Pfister and Nolan timed the edited negative with David Orr at Technicolor. Pfister estimates that approximately 50 minutes of the final cut was produced in IMAX format. Warner Bros. is releasing The Dark Knight Rises in IMAX, 35mm film and Digital Cinema formats.